Founded in Paris in 1989, BCBGMAXAZRIA was named for the popular French expression "Bon Chic, Bon Genre"—meant to convey the idea that a good attitude is the basis of good style. Shortly after, the brand moved to Los Angeles, where it has defined the luxury market by offering European standards of quality and luxury at contemporary price points. BCBGMAXAZRIA swim aspires to infuse west coast attitude into unique and beautiful prints and silhouettes—to capture the best moments in fashion and make them wearable. BCBG creates with integrity and consistency, taking of-the-moment ideas and translating them into elevated, modern pieces. 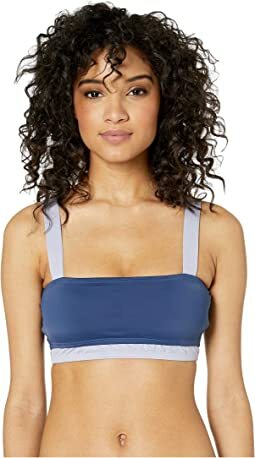 BCBGMAXAZRIA swim is for forward-thinking individuals that want versatile, distinctive pieces that will give them the confidence no matter where they are.